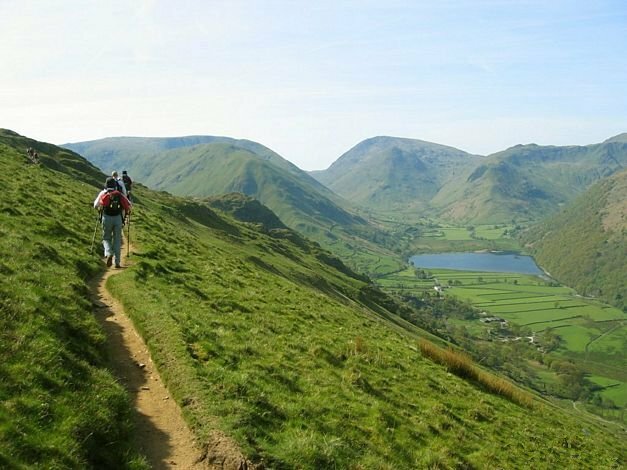 There’s certainly no shortage of great long distance hiking trails in the UK. In fact, if we go by the typical definition of a long distance trail (a trek that will take more than one day’s walking to complete, or is over 31 miles), then the UK has over 230 of them! 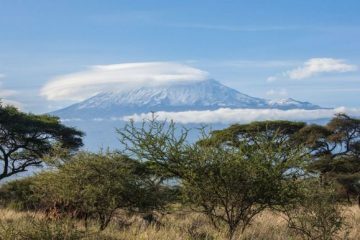 Whether it’s a gentle stroll through the countryside or a more serious trek with lots of ups and downs, chances are you’ll find exactly the trail you want without having to get on a plane and heading over to the Continent. 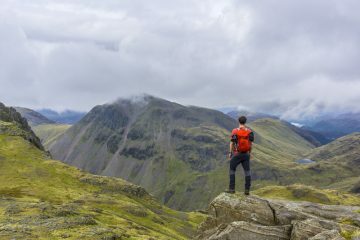 We’ve done the tough work to compile a list of what we think are five of the best long distance hiking trails in the UK, they’re in no particular order but if you think we’ve missed out on a gem, or if you agree with our choices let us know in the comment section below! So we kick off our list with the Coast to Coast Walk in Northern England, a 182 mile trek that takes you from St Bees in Cumbria to Robin Hood’s Bay in North Yorkshire through three national parks: the Lake District, the Yorkshire Dales and the North Yorkshire Moors. Interestingly, despite the path being one of the most popular treks in the UK (and even the world) it’s technically unofficial and is largely unsignposted. It was first described by Alfred Wainwright in his 1973 book A Coast to Coast Walk and he recommends that walkers dip their booted feet in the Irish Sea in St Bees and in the North Sea at Robin Hood Bay once the trek is complete. The West Highland Way is a 96 mile trail that takes you from Milngavie on the outskirts of Glasgow to Fort William at the foot of Ben Nevis. On the way there you’ll skirt the shores of Loch Lomond, trek through one of the most beautiful and remote places in the UK in Rannoch Moor, and experience the stunning and often awe inspiring mountains of the Western Highlands. Provisions and accommodation are easy to come by but some sections really give you that feeling of ‘being out there’, something that’s becoming increasingly rare in the UK. 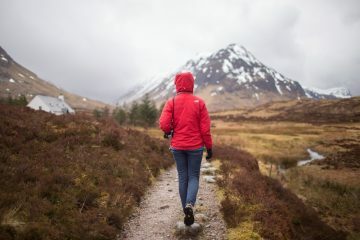 The West Highland Way isn’t a particularly difficult trail and due to its popularity it can become quite busy in the summer months. We hiked the trail in February and in stark contrast we were the only people using it. Bliss. 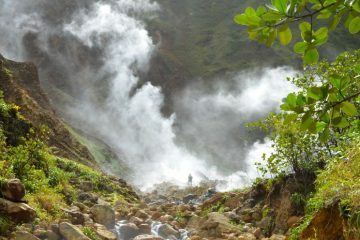 Highlights: Following the most iconic river in the UK from its source. 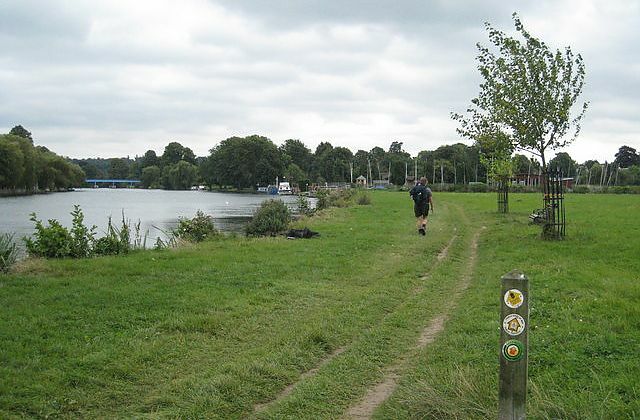 While the Thames Path may not be the wildest, most exciting or challenging path in the UK it still offers a great walking experience and following the most iconic river in the UK from its source to London is a great way to tick off a long distance trail if you’ve not got much experience. The path runs from Kemble in Gloucestershire to the Thames barrier in Charlton, London and it’s pretty much flat, easy walking the whole way. 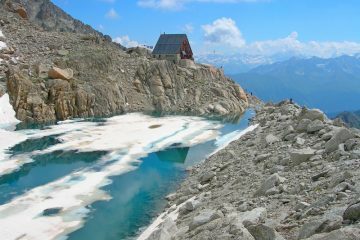 There are plenty of opportunities to stock up on supplies and accommodation is easy to find so it really is an ideal first long distance path to get you in the mood for something a bit more challenging. 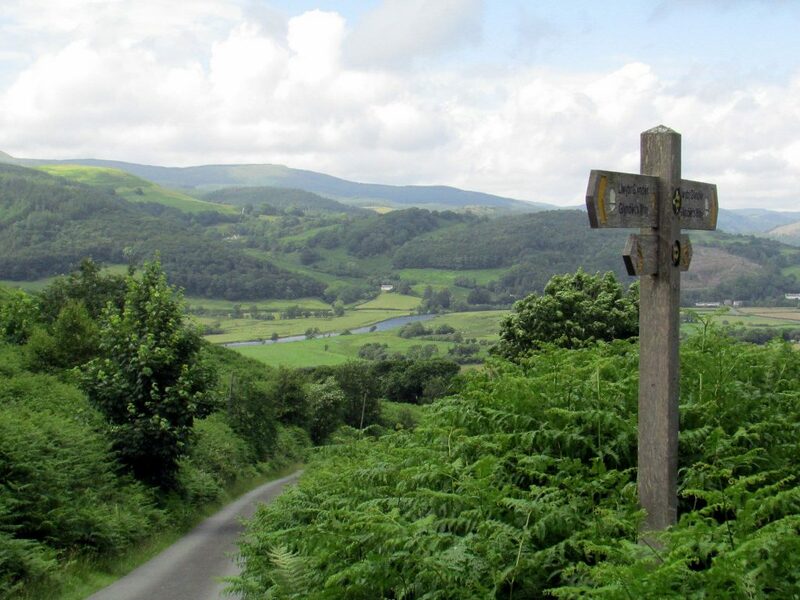 Glyndwr’s Way, named so after Owain Glydwr, the last true Prince of Wales, is a 135 mile walking trail that takes walkers through some of the most beautiful scenery in Wales. It starts in Knighton on the English border and cuts its way through open moorland and rolling farmland covered in woodland and forests to end at Montgomeryshire Canal in Welshpool. Numerous hill climbs and sparse accommodation make Glyndwr’s Way one for more experienced hikers, but idyllic views and scenery mean it’s well worth the effort. 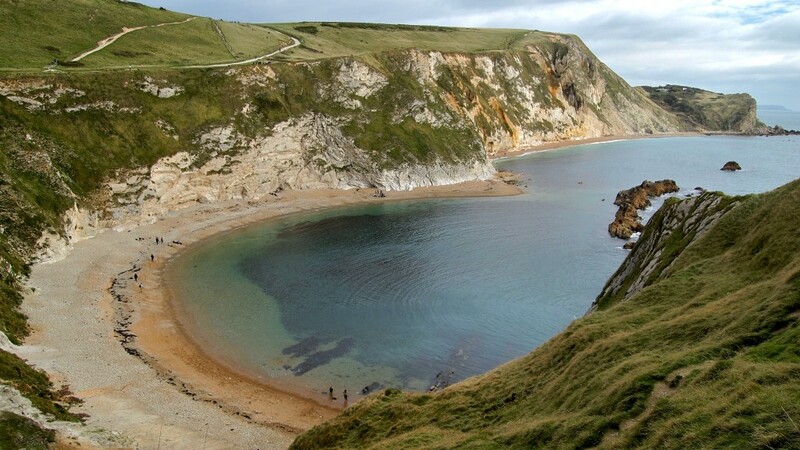 So to finish our list off we introduce you to the longest trail in England, the South West Coast Path. Historically the rough route of the path was walked by the coastguard as they went between lighthouses looking for smugglers, as such the trail hugs the coastline nearly in its entirety and presents walkers with awesome views into the many beautiful coves and bays. 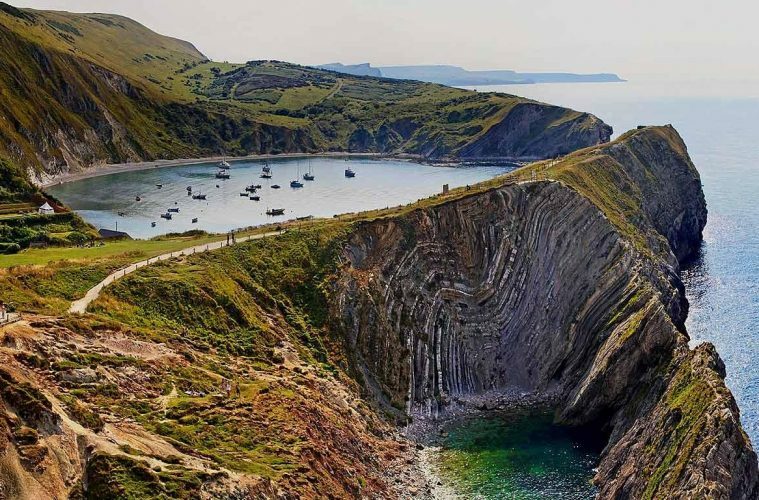 The trail starts in Minehead, Somerset and finishes in Poole Harbour, Dorset and takes walkers through two World Heritage Sites: the Jurassic Coast and the Cornwall and West Devon Mining Landscape. 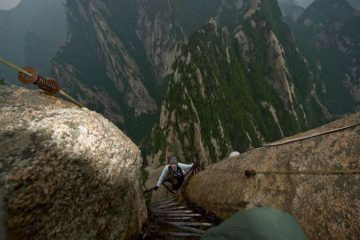 The trail is quite difficult walking with plenty of ups and downs and it has been calculated that the total height gain over the 630 miles is 35,031 metres – almost four times the height of Mount Everest! Can you think of any trails that should have been included? Leave a comment below!